MOSCOW, March 20, 2017 /PRNewswire/ -- The Russian Post Bank has selected Diebold Nixdorf (NYSE: DBD) to supply 3,200 self-service cash recycling systems together with software and services. End-to-end cash management is at the core of the operational strategy of Post Bank, which is expanding its retail banking network within Russian Post office branches all over the country. The strategy will allow for the discontinuation of traditional cashier stations, and enable consumers to perform all cash transactions including loan grant, settlement and deposits at the self-service systems. In 2015, Post Bank became the first bank in the Russian market to convert its entire self-service network to recycling technology. By end of 2018, Post Bank will offer cash services to its clients on more than 4,000 Diebold Nixdorf recycling systems. The installation and associated maintenance services will be provided by Diebold Nixdorf, together with the local distribution partner, Terminal Plus. According to a recent RBR report, automated deposit terminals (ADTs) and recycling systems are gaining ground throughout the world. RBR predicts that the number of installed ADTs will rise from 1.2 million in 2015 to 1.7 million in 2021, with around 67 percent featuring a cash recycling functionality.1 On average, the use of cash recycling systems has reduced the number of CIT visits in Western Europe by 50 percent — with Post Bank experiencing periods of more than half a year without CIT visits to many of its new cash recycling ATMs. 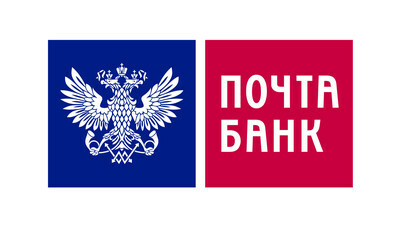 "Diebold Nixdorf's outstanding systems quality and comprehensive services has enabled us to streamline operational efficiencies and achieve network growth in smaller settlements and distant territories in Russia," said Elena Mokhnacheva, board member, director of operations, Post Bank. With its vast network of post offices and self-service devices, Post Bank uses the ProView software platform to provide 24/7 monitoring and preventive maintenance of all Diebold Nixdorf cash recyclers. This enables the bank to decrease the number of potential incidents and the necessary travel from a field technician for an onsite visit. "Diebold Nixdorf has proven itself to be a strong IT partner for Post Bank, who can keep up with the fast pace of the bank's expansion, providing efficient cash processing with best-in-class software and service capabilities," said Christian Weisser, Diebold Nixdorf senior vice president and managing director, Europe, Middle East and Africa. "Leading banks across the globe have recognized the strategic importance of end-to-end cash management and are increasingly upgrading their self-service fleets to include cash recycling technology." 1 Deposit Automation and Recycling 2016, RBR London, Dec. 2016.